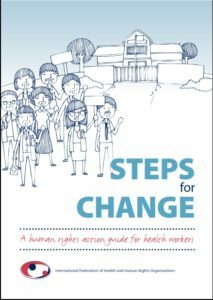 Steps for Change – A Human Rights Action Guide for Health Workers (2012) is a straightforward tool to move from human rights analysis to action. This guide explains the interrelation between health-care and human rights and contains a set of practical steps. 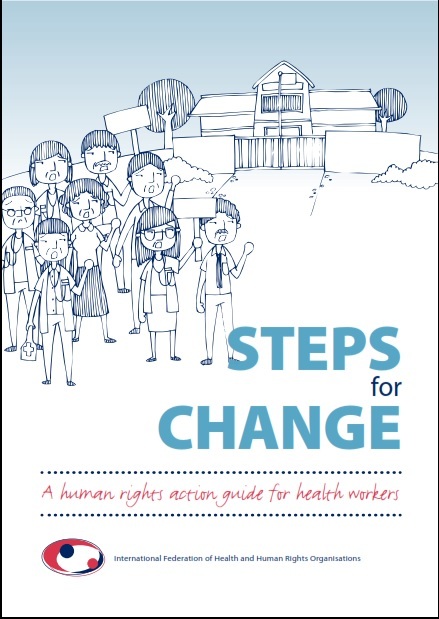 Follow the simple steps in this guide to frame health-care problems in your facility or country as human rights issues and identify opportunities for action! The guide is available in English, French, Spanish, Portuguese, Russian and Georgian. The Steps for Change Templates file (below) contains hand-outs for training and workshop participants. These templates can be used to complete the five steps for change set out in Section 2 of the guide. Unfortunately, they are only available in English.